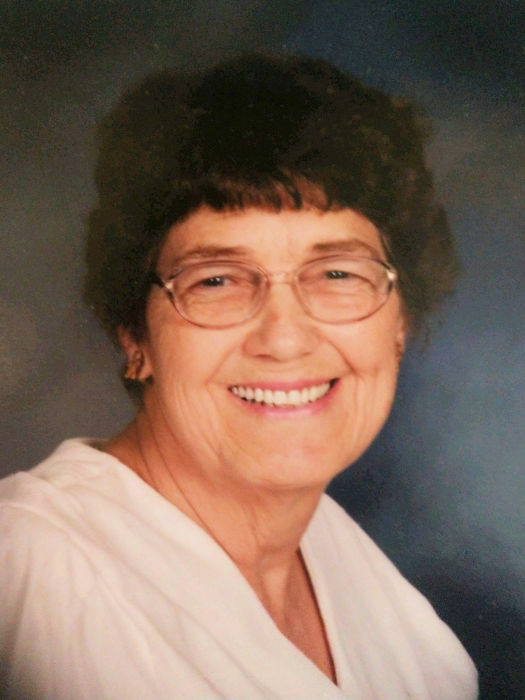 Corinne G. Wroblewski, 76 of Arcadia, NE died Wednesday, November 21, 2018 at Bryan Medical Center, East Campus in Lincoln, NE. Mass of Christian Burial will be 10:30 a.m. Wednesday, November 28, 2018 at St. Josaphat’s Catholic Church in Loup City, NE. Father Richard Piontkowski will celebrate the Mass. Interment will follow at the Evergreen Cemetery in Loup City. Visitation will be from 5:00 p.m. to 7:00 p.m. at St. Josaphat’s with a Recitation of the Rosary to be held at 7:00 p.m. at the church. Memorials are suggested to the Wroblewski family or donor’s choice. .
Corinne was born to Lealand and Twila Bray Evans March 11,1942 in Ord Nebraska. She attended Arcadia Nebraska graduating the 12th grade. She married Leo Wroblewski on May 28, 1960. They celebrated 58 years together. They resided in Loup City until 1970 then moved to Idaho until September 1979. There she was a housewife, mother, ranch cook, and bus driver. After moving back to Nebraska she was employed at Becton Dickinson in Broken Bow for 25 years. Corinne was also a member of St. Josaphat's Catholic Church. After retiring, she did not sit still!! She was very active in farmer's market. She was famous for her homemade pies, sweet rolls, breads and crafts. She sold her baked goods and crafts in Loup City, Ord, Arcadia, and Broken Bow. Grandma Corinne is also remembered by her homemade gifts of crocheted afghans, infants cap and sweaters, slippers, and mittens. She would also put much love into step stools, baby doll and barbie clothes, quilts, snuggys, scarves, scrubbers, hot pads, crocheted towels, and embroidery pillow cases. Corinne is survived by her daughter, Becky Wroblewski of Council, Idaho; son, Terry Wroblewski of Arcadia Nebraska; son and daughter-in-law, Rod and Lynette Wroblewski of Lincoln Nebraska. She was the best Grandmother to 10 grandchildren and Great Grandmother to 13 great-grandchildren. Corinne loved her babies! Corinne was preceded in death by her parents and two brothers.